What to look for when buying a used Kia Soul? 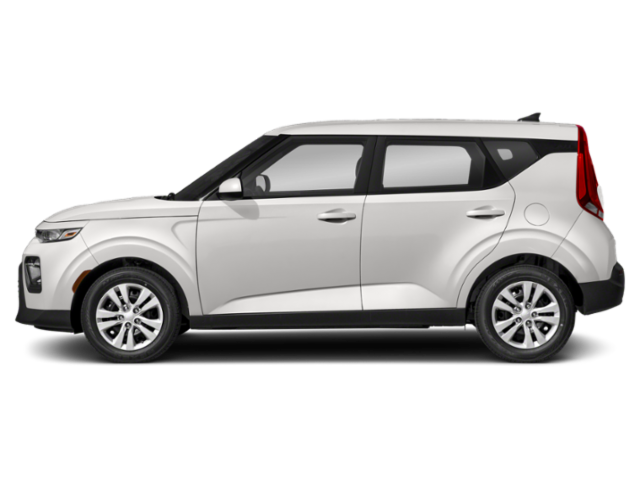 The Kia Soul is a five-door subcompact that is often credited for bringing extreme utility to the subcompact car market. Now in its second generation, the Soul retains its square-bodied design and attention to cost-effectiveness it started with. Since its introduction in 2008, the Soul has remained a strong-seller in the Kia lineup. The first-generation Kia Soul was introduced in 2010 after a two year trial in Asia. Styled by a member of Kia's then-new California-based design team, the Soul was modeled after a boar and aimed for a hip, urban market. Two years of Asian market testing proved that the concept worked and tweaked some of the details to make for a more globally-ready car. When the Kia Soul entered the American market in 2010, it was a near-instant success. The five-door layout, large interior space (thanks to the square body design), and high amount of visibility for the driver all added up to a great option for young buyers on a budget. The four-cylinder engines and smooth transmissions were a bonus that finished the deal. The second-generation Soul came to market in 2014 after an unveiling in New York. Aimed more specifically at the American market, the new Soul is more rigid in its underpinnings, which gives a sportier drive experience. The car is slightly larger than it was before in both width and length, adding a bit more interior space, and included more design options that buyers could customize. In the 2015 model year, a battery-electric version of the Soul was introduced as the Kia Soul EV. This model saw limited sales in specific markets. Its target range was about 120 miles per charge and it plugged in using the common CHAdeMO plug interface. The Kia Soul is well-liked for its versatility and compact size. It's low cost of entry means it appeals to entry-level buyers and urban buyers who need space but not size. Kia's industry-leading standard warranty is another high point for the Soul. Common problems usually happen within the warranty period and are centered largely on the 2010-2012 model years where shock absorbers and small body parts (latches, handles) can fail or break. The Soul otherwise has a good reputation, especially in its second-generation build. What is the average price for Used Kia Soul? How many are for sale and priced below market? What Kia Soul model year and mileage can you get for your budget? Where does used Kia Soul rank in comparison to competitor vehicles? What Is The Average Price Of A Used Kia Soul By Model Year? What Is The Average Price Of Competitor Cars To The Used Kia Soul? What Is The Average Price Of Used Kia Soul In The Top 10 Cities? The automotive industry isn't immune to fads. Remember how we had retro-styled vehicles like the Chrysler PT Cruiser and Ford Thunderbird? Another fad that has recently passed is box vehicles, which was started by the Scion xB in 2004. Aside from standing out, the box shape also provided a very spacious interior for passengers and cargo. In due course, Nissan and Kia joined in the fun with the Cube and Soul, respectively. The 2014 Kia Soul was totally redesigned from the floor to its squared off roof and despite featuring a roomier, higher quality interior, improved ride and better engines pricing is still very reasonable. Prices range from $14,900 for the base model all the way to $20,300 which is the starting point for the top of the line "!" trim. Add all options to a 2014 Kia Soul ! and the MSRP will creep up to $26,100 but keep in mind that you will be getting a lavishly equipped car with leather seats, in-dash navigation with very advanced graphics and on demand traffic information, an amazing Infinity premium audio system, a panoramic sunroof, HID (High Intensity Discharge) headlamps, push button start, heated and ventilated front seats, heated rear bench seat with heated steering wheel, automatic climate control and pretty much every available gadget and gizmo available with your average luxury car. The 2014 Kia Soul truly is a whole new Hamster carrying case. If you have been living under a rock and have never heard of the Kia Soul or the ridiculously successful hamsters that have been at the core of this model's marketing success, perhaps you should turn on a TV once in a while or go outside at least once a year. Sunshine is good for you. For the rest of you, you no doubt have seen plenty of handsomely boxy Kia Soul roaming the streets of your town. You no doubt also have seen the Soul on either TV or Youtube with the dancing hamsters which never speak in Kia's ads for the car but rather rock out to Lady GaGa, Mozart or house music. Not only did this ad campaign truly turn Kia into a household name in record time but it also stands as one of the most watched series of ads for any car in history. The 2013 Kia Soul sees only a few minor changes, but those changes should appeal to just about any shopper. Most will recognize the Soul as the boxy, little cube-like wagon that brings thoughts of the MINI Cooper to mind; others will recognize it from the hamster commercials. No matter how you remember it, the 2013 Kia Soul offers an economical alternative to those looking for comfort and cargo space. Pure speed, exhilarating handling, and thrilling power are not what you'll get from the 2013 Kia Soul (sorry if I got your hopes up), but you will receive one of the most economical alternatives to the compact sedan available today. It offers an array of vibrant paint choices which, coupled with its exceptional safety scores, also makes it a top choice among parents shopping for those first-time drivers.